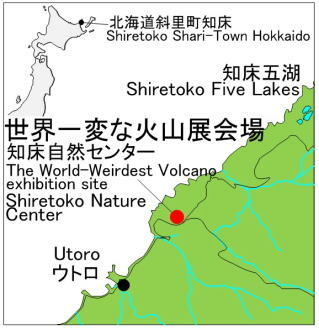 Shiretokoiozan volcano is located in the middle part of the Shiretoko Peninsula and known for its humongous amount of molten sulfur eruption. In 1936, 116,523 tons of molten sulfur was expelled at a mountain flank crater called “Crater I,” and flowed into the Kamuiwakka Creek. In “the World-Weirdest volcano Exhibition” we will show you the feature of the world only huge sulfur eruption and its mechanism. Farther more, how those facts were found with interesting and unique research tools will be shown. We are sure that you will enjoy it! 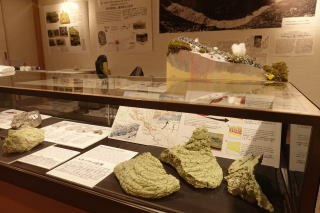 ・What was the molten sulfur eruption like?